So by now if we all don’t know that Mobile device utilization will soon be surpassing the use of computers then you might have been living under a rock for the past few years. But, do you understand how consumers are using their smartphones? Or what technology is available on phone nowadays. 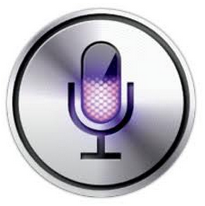 The reason I bring this up is because I’m an avid user of SIRI for my iphone. I love using this feature to find the best places around town from services to finding products. As a small business owner you should definitely get acclimated with these speaking technologies because you could be losing potential business. There are so many of your competitors to choose from so think like a consumer, how would you narrow it down? Simple “give me all pizza places with good reviews.” Have you tried this test with your business? If not you need too! It’s important to know how your business looks online because if you don’t have any good reviews then your business is invisible. Or worse you have bad reviews that you didn’t know about. Below are some stats from Yelp. Now start experimenting to see how your business looks. Yelp had over 5 million unique visitors to our mobile apps — 63 million total unique visitors to Yelp.com 8.5 million of which were from mobile browsers. 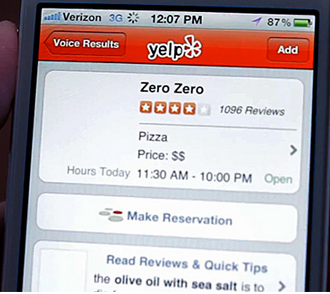 More than 2,216,896 calls were made from a Yelp app. That’s nearly 9 calls every 10 seconds to a local business. With all the changes that we’ve all felt with Facebook you’re probably feeling the engagement meter has taken a dip. But, were you committing social media no-no’s before this even happened? So what am I talking about you ask? As mainstream as social media is nowadays it still doesn’t surprise me how so many businesses still manage to make mistakes that will cost them there fan growth. Out of control scheduling and link blasting– Third party scheduling posts, statuses, and tweets is definitely a luxury I love as well, but some businesses have just gone out of control with it. You’ve basically set up your social and leave it on cruise control and then …. well you become unsocial. Not answering comments for days, or thanking for RTs etc…. I’m sure you’ve encountered this. The all of sudden semi-automatic promoter- If you’re like me you probably forgot about some of the pages you liked on Facebook and because nothing else was really engaging about it was out of sight. Well out of the blue this page starts throwing out promotions left and right all in your wall space….. Yeah time to unsubscribe or unlike! 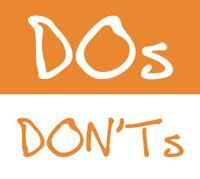 These are just a few of the biggest mistakes I’ve seen businesses make. What encounters have you had?